Missing the fun banter between Kapil Sharma and leading Bollywood celebrities? The 'King of Comedy is all set to return to the small screen with a HATKE show. Kapil Sharma is all set to make a splashing return to our television screens with his new show, ‘Family Time With Kapil Sharma’. The game show is expected to hit the airwaves sometime in March and replace Super Dancer Chapter 2 at a primetime slot. The King of Comedy has started shooting for the much-awaited show and going by the pictures circulated on social media, we can conclude that Kiki Sharda and Chandan Prabhakar are an integral part of FTWKS. Various fan clubs of the Firangi actor shared the snaps from the first day shoot of the show. Interestingly, one of the leading Bollywood actors is set to raid the sets of Kapil’s new show. The actor in question is Ajay Devgn, who is on a promotion spree for his film Raid. The Singham actor is reportedly one of the first guests on the Sony Entertainment Television show. The promo featuring Kapil and Ajay went viral on the within minutes of release. Fans simply loved the way the Baadshaaho star took a jibe at The Kapil Sharma Show host and how he mocked his jobless days. Kapil Sharma took to Twitter to thank the Shivaay actor for coming on the show. 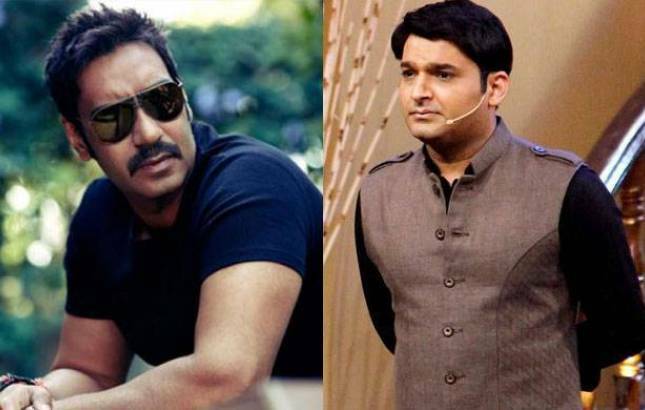 Ajay Devgn who is known to be prankster on the sets had a hilarious response to Kapil’s tweet. All the pictures and videos have increased our excitement and we just can't wait for the show to roll on. We wish Kapil Sharma all the luck for his new show.